Clear all jellies and reach 140000 points to complete the level. This level has hard difficulty and it require you to use good technique to complete this level. 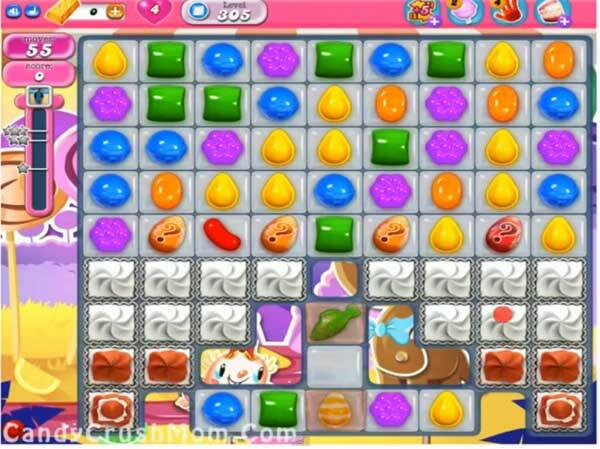 For this level you should try to make wrapped candy with striped candy combo to break more jellies and blocker. Play near to jellies or make special candy and where you get chance and combine it with another special candy to break all jellies within 50 moves. We completed this level with 332040 score using the above strategy and got three star score at the end of the level.